The Skelpy project aim is to create a totally decentralized and clear blockchain, in which every wallet has a certified digital identity. Transactions will be visible to everybody, but the individuals will be certified and recognized following visibility criterion explained ahead. So it will be possible for the user to issue transactions on the blockchain with a certified wallet (natural person or legal person) or with an uncertified wallet. The source code related to the blockchain will be fully issued together with its tools, while the entire code related to the SkelpySystem platform will remain reserved. The Skelpy blockchain is based on technology DPS (Delegate Proof of Stake) in which there are 51 forging nodes that has the task of maintaining the net active and working. 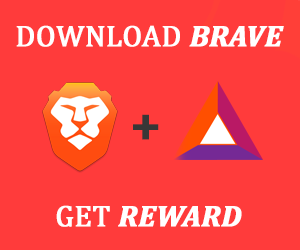 DPoS technology used by Skelpy takes the project ARK (https://www.ark.io) as its starting point but it is not a copy or a side chain of the mentioned project. Skelpy blockchain starts from a solid and tested base that will be improved to be functional to the Skelpy System. Skelpy project intends to offer a certifying service for wallets in the property circle, ever allowing the use of non-nominative wallets inside the blockchain. 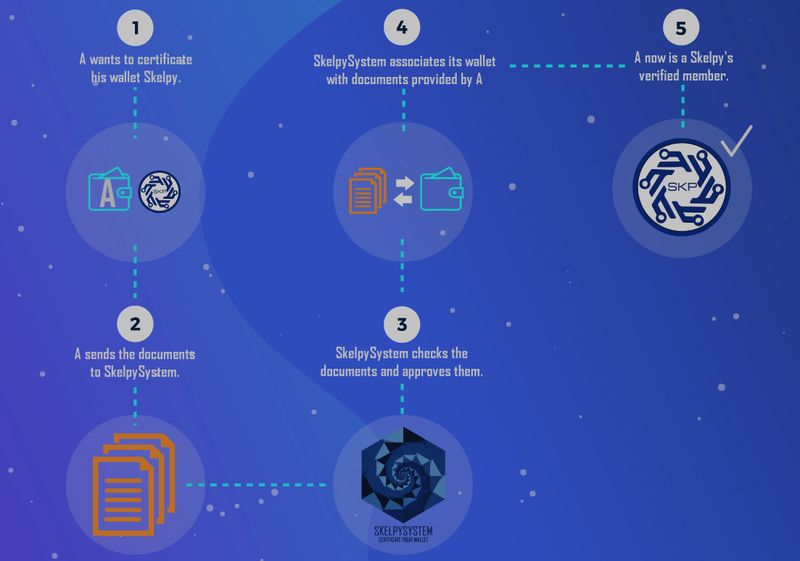 Certifying the wallet gives many benefits in terms of security and services to those who use Skelpy blockchain. A certified wallet is safer than a non-certified one as it can dispose of ancillary functions and services. A certified wallet attests that a specified subject recognized by the system is the owner of that wallet; this permits transparency and security in transactions between two subjects. The main recognized tools and methods we used to certify the wallets are: KYC, AML, CTF. The sentence Know Your Customer (KYC) means a process of identification used by the enterprises to verify the identity of its own customers and evaluate potential risks or illegal intentions in relation with the customer. The Anti Money Laundering (AML) refers to a set of procedures, laws, and regulations directed to stop the production of earnings by illegal activities. Even if the anti-money laundering laws cover a limited number of transactions and criminal behaviors, they generate large-scale implications. For example, the AML regulations require that all the institute's issue credits to be sure that they are not of assistance in money laundry activities. The Counter-Terrorism Financing (CTF) is a set of regulations and laws focused on the comprehension and the reply to terrorism financing and to significant financial threats. Through this system, it will be possible to recognize the subjects involved in the transactions on the basis of the level of authority allowed by the wallets owners. The wallets can be recognized at the discretion of the rightful owner that decides the visibility of his own wallet. To recognize a wallet is necessary for sending a recognition request to the subject in question, except the “Public” level of visibility that does not need a recognition request. The Skelpy Identity Card (SIC) can be used to get paid and be recognized. After having completed the recognizing procedure through Skelpy system, it is possible to request SICs to leave to customers or Friends for contact or payment addresses. 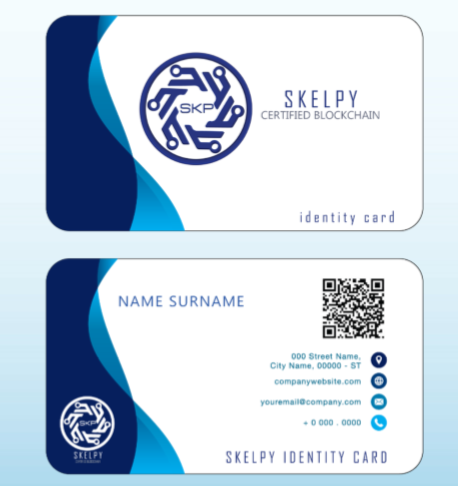 In fact, the QR code on the back of the card indicates the wallet associated to the blockchain Skelpy certified person, so by pointing the QR code on the card, it is possible to pay the certified wallet owner. 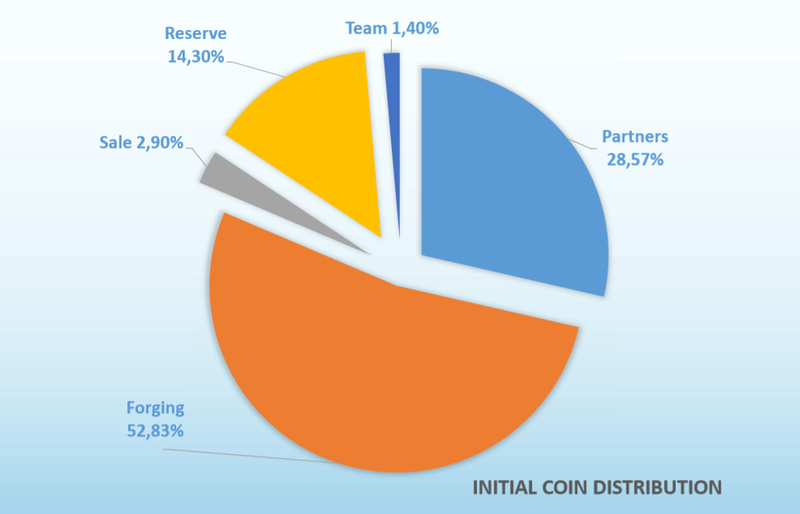 The currency in circulation will be of 2.000.000; 20.000.000 will be used by the partners to maintain the network; 10.000.000 will be saved as a backup fund that can be used exclusively in case of emergency and only at the achievement of the voting majority of the team; and 1.000.000 will be distributed among the team members on the basis of the developed work. To stay up to date on Skelpy news and announcements, subscribe to Medium and Steemit channels, follow on Facebook and Twitter, and join the conversation on Telegram. Bitcoin Price Analysis: BTC/USD Long-Term Reversal Underway?